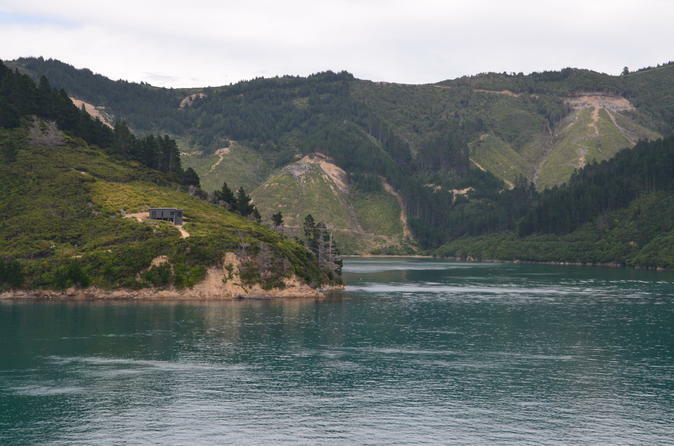 Three relaxing hours through Cook Strait to the lovely township of Picton (South Island). Totally worth it! 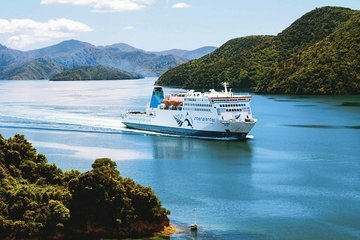 Very relaxing way to cross the channel to the north or south island. Highly recommended! It was so amazing to take this ferry from Wellington to Picton. Navigating the Cook Straights, even in this large of a ship on what was called a calm day, shows just why the sailors of the 18th Century were true adventurers. The ride was so comfortable, and the views were amazing, but make sure you hold on to your hat. If you go outside, the wind even on a calm day is pretty stiff. The staff we met were all very friendly, food was great, and the whole experience was one of the highlights of our trip. Entering into Picton Queen Charlotte Sound was simply breathtaking. Never seen anything so beautiful anywhere else on earth! beautiful scenery. I hardly sat down for the 3 hours of the trip because I was taking pictures and just in awe. Smooth easy ferry ride. No complaints. This was a very good trip for a first timer.The reception area in Wellington was quite good and checking baggage was easy. Boarding was smooth and easy. We did not know the lay out of the ship with how seating was laid out, since there is no assigned seats And it is good that there is no assigned seats.. But know that the best seats for many were in the bar in front of ship with a view out front and TVs on sides with your favorite sports on them. It was good that it was not crowded in other areas so it allowed moving around and even laying down across several seats in center. Signs were fairly clear about which doors to use for moving up to the outside viewing decks. There were no too many signs warning one to be careful about obvious things for which to be careful. Food services were surprisingly good and reasonably priced. Staff were quite friendly, but always could smile a bit more. It was a cloudy, rainy day but the ride was very smooth. This was a ferry across the strait, nothing more, nothing less. The seating wasn't very comfortable, and while there was a cooked breakfast available, the choices were quite slim. The best part of this early morning trip was the scenery. The late afternoon return ferry lacked sunlight to enjoy the scenery, but the seating was more comfortable and the food choices were much more varied. Relaxing trip, reclining seats with a view. Snack bar available. The scenes from the front windows were magnificent. Everything went very smoothly from collection at the railway station to getting off at Picton. Staff were helpful. Only problem was it rained almost the whole crossing so we didn't see the fab views. This was a great way to get from one island to the other. The day we travelled we were lucky as the sea was very calm. The whole experience was first class from check in to the collection of our luggage.